Over the last year or so, we’ve been creating a space where we can cook outdoors. 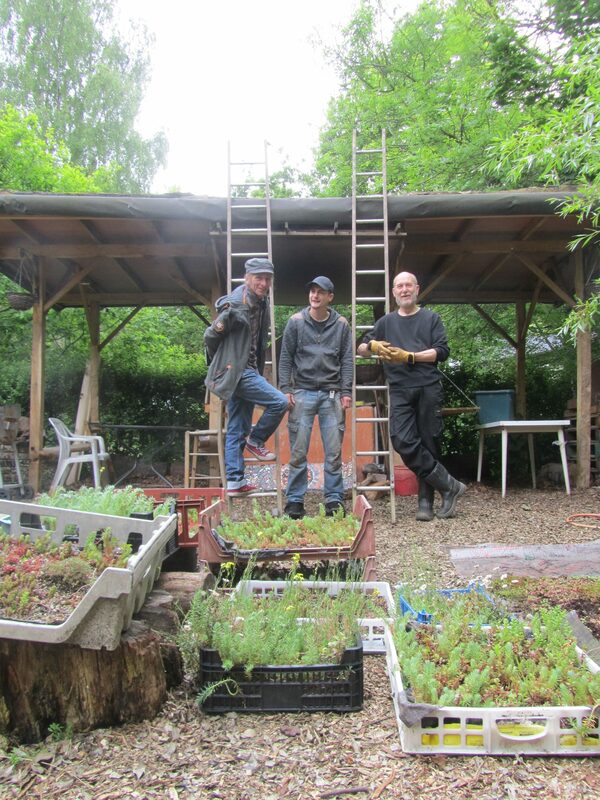 Our outdoor kitchen has two working earth ovens, a fire pit and space to prepare food. 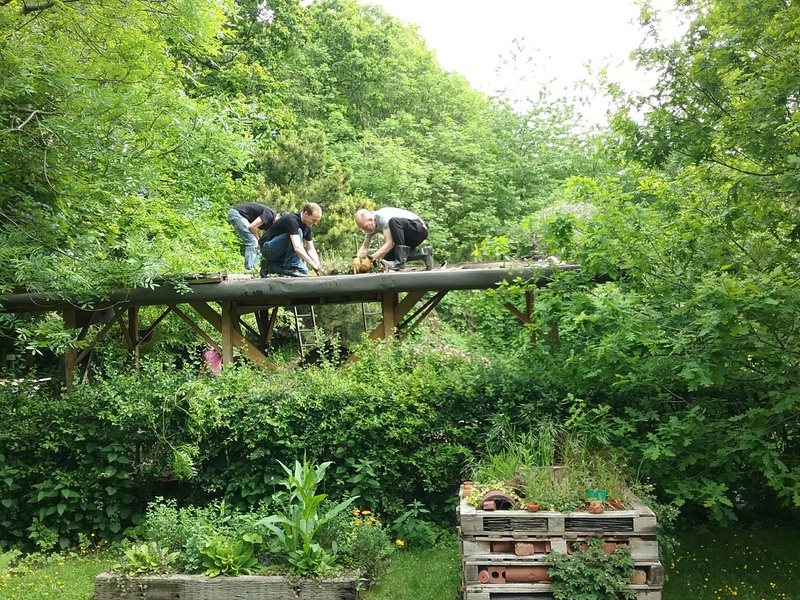 We’ve recently built a roof to provide some shelter from the elements. 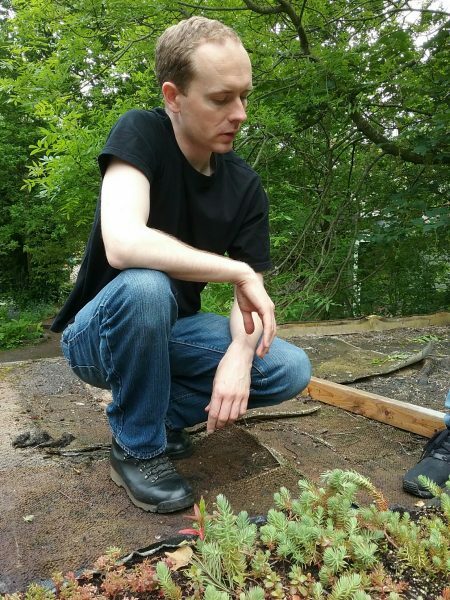 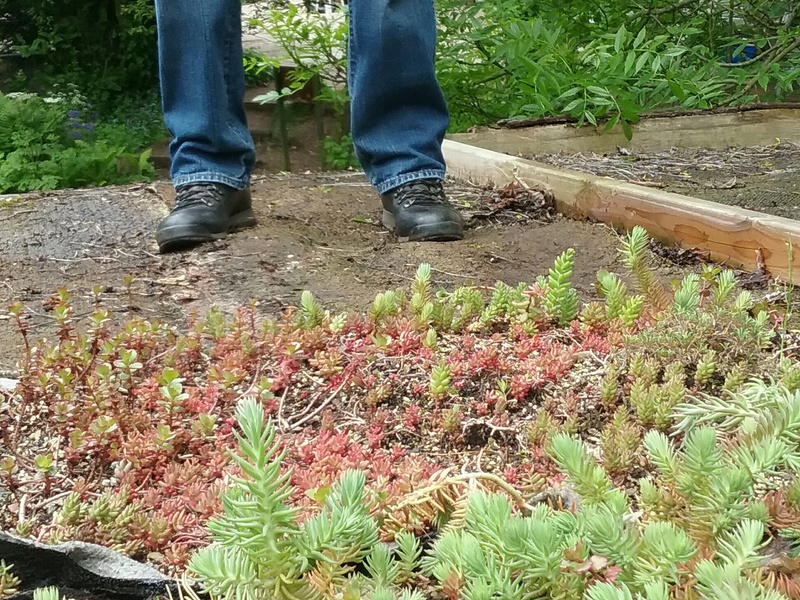 Today, we’ve been adding a living, green roof. 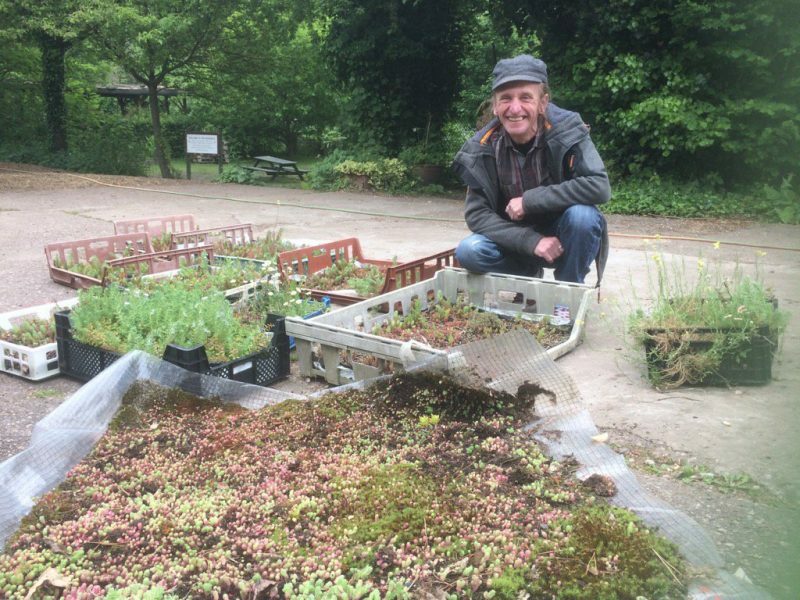 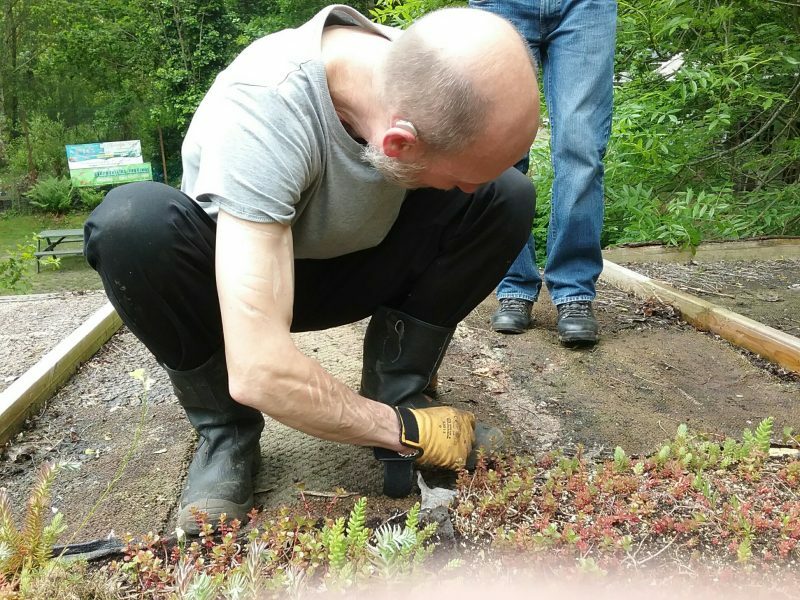 The ‘carpets’ of alpine plants have taken a year to prepare: capillary mats have been planted up with a range of plants, cultivated here at Martineau Gardens by the Garden Volunteers team.